Looking to upgrade your résumé? Keep me updated with new career resources and startup events in my area! Still stuck on your résumé? We work with a lot of companies, so we have some insider knowledge on which candidates get the most action on Planted. In our experience, hiring managers are quick to pass on people based on a resume that is rough around the edges. We want to make sure you look great on paper, and that poor resume formatting doesn’t cost you a job! We've got your back! 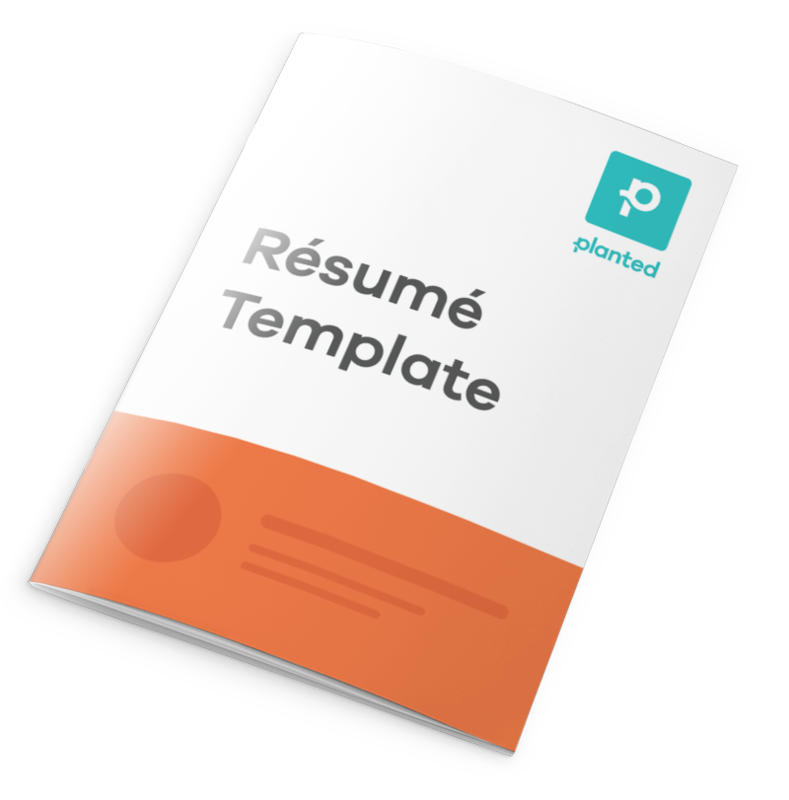 Here is a sample resume and a basic template you can download to get you started! Just input your email below! Sign up for Planted and grow your career today!